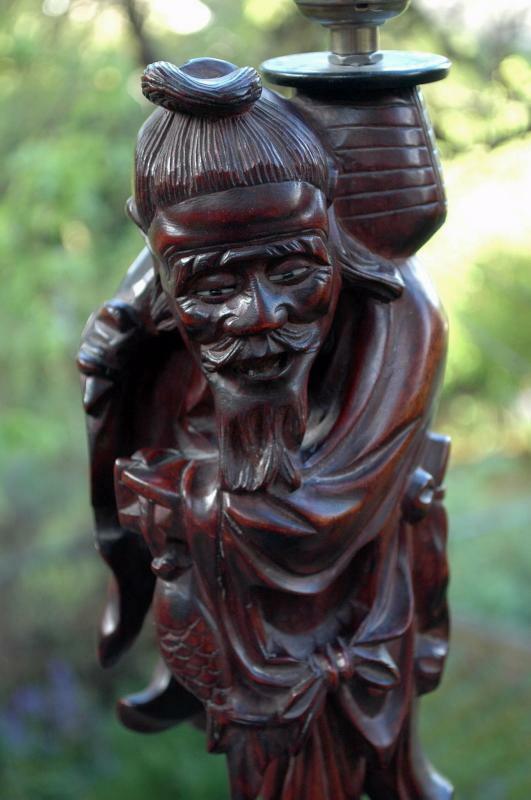 Chinese Immortal Hand Carved Root Wood table lamp. 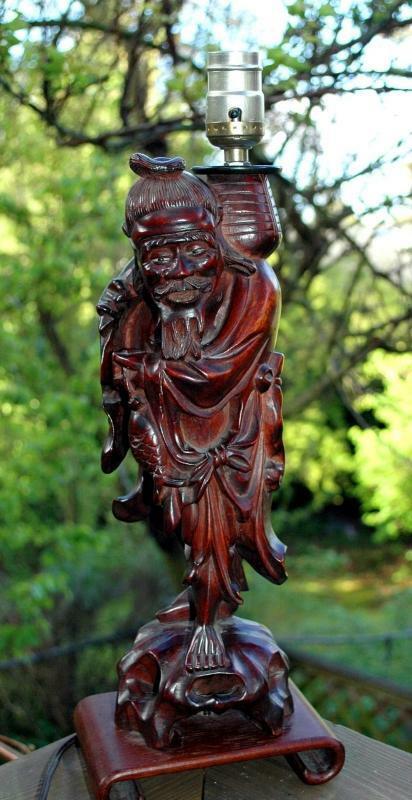 He is intricately carved and holding a fish . It think is was a craving that was turned into a table lamp later on. 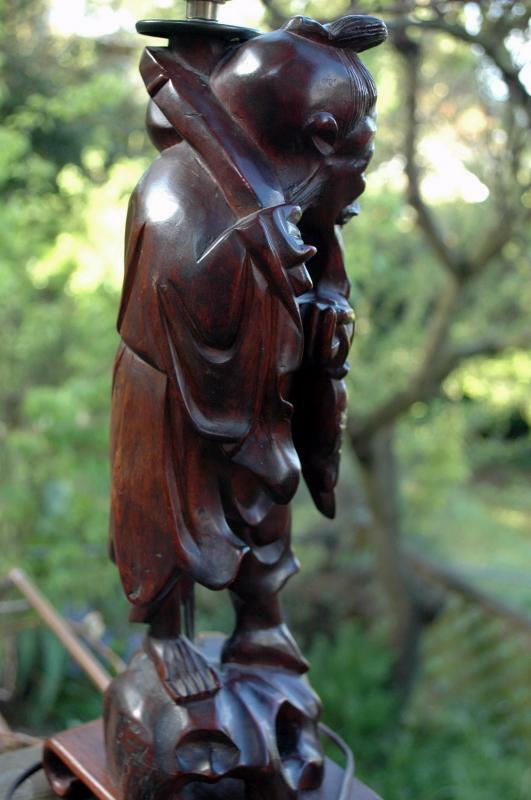 It is mounted on a wood base that was probably added later too. The whole piece is 17" high. 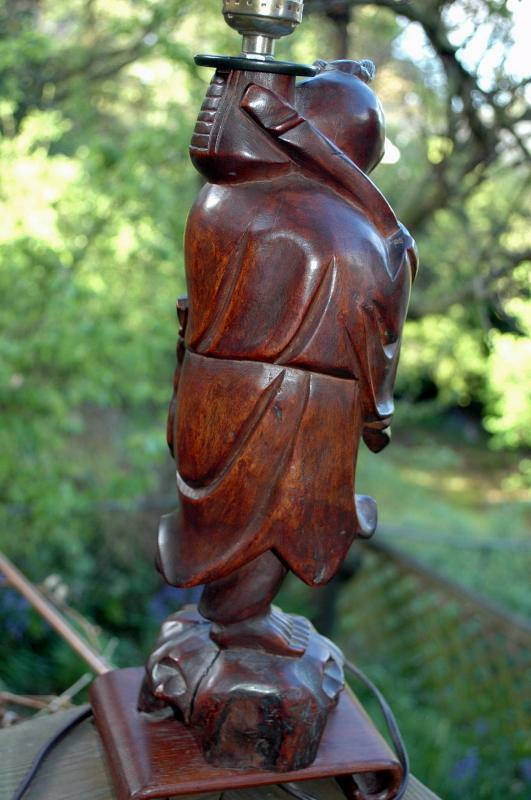 There is an age crack in the wood at the bottom of the carving ( not the base) but that is typical of old Chinese wood carvings. The eyes have been painted. The teeth details are not painted. 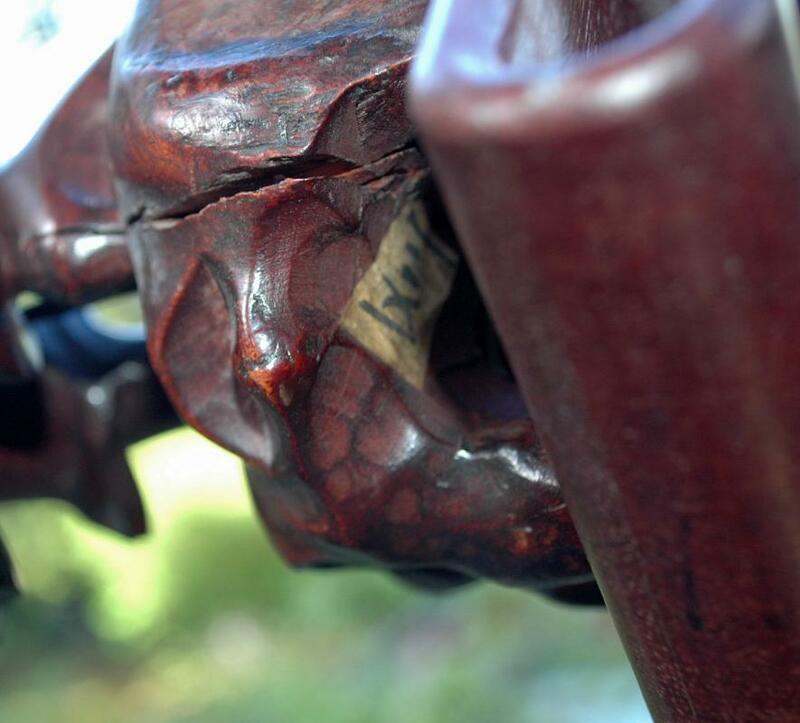 On the underside of carving there is a small panel that has a Chinese Character signature of some sort. The lamp works fine and the wiring appears to be fine too. Other then what has been mentioned the condition is excellent for age. 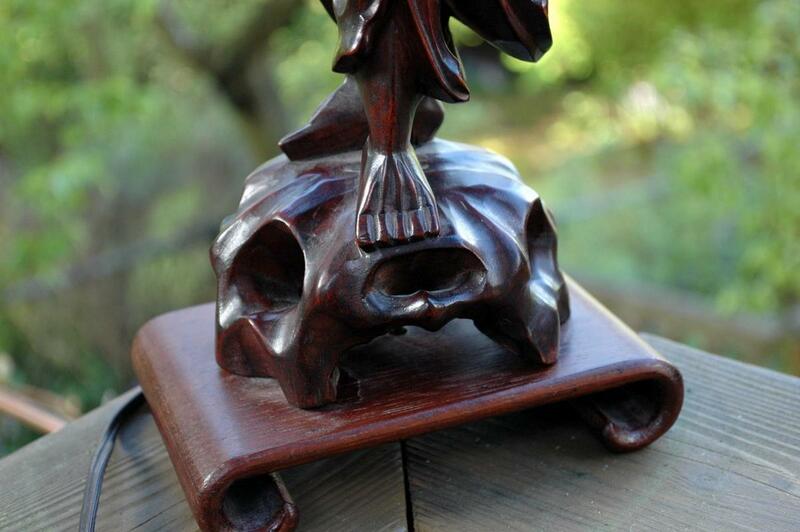 Items Similar To "Chinese Immortal Root Wood Carved Table Lamp "